Congrats! You tackled the interview questions like a pro—but before you walk out the door, you have one last chance to drive home the win. Follow your interview questions with a memorable closing. Between practicing your handshake, crafting an elevator pitch, and planning what you’re going to wear, you have a lot to tackle when it comes to interview preparation. So once the big day arrives and you make it all the way to the end of the interview, it’s only natural to be so relieved when it’s wrapping up that you forget to ask a pivotal question, drive home your enthusiasm, or summarize your awesomeness. 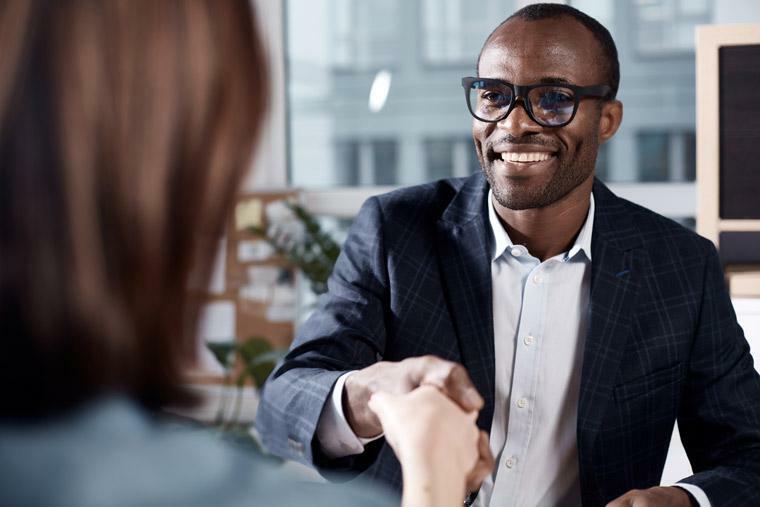 Follow these steps to close an interview and position yourself for a job offer in the process. What do you expect me to accomplish in the first 90 days? Are there opportunities for additional training and education? How is performance measured in this role? Before you head out the door, take a minute to reiterate that you want the position, says Carole Martin, job interview coach and author of Boost Your Interview IQ. A high level of engagement is key to showing a hiring manager that you’re really into the job. Also say you think you’d be a good cultural fit for the company, which is a pressure point for employers, considering more than six in 10 (64%) human resources managers say they’ve misjudged a candidate's fit with their company's work environment, an OfficeTeam survey found. Mention that you look forward to being part of the team. To end on a high note, restate your value proposition at the end of the interview. After all, you’re not the only person going after this job, so you want to put a giant spotlight on your talent. In a couple sentences, talk about the key skills and experiences you bring to the table, Scivicque says. Pro tip: Make sure your selling points are tied directly to the job duties. Surprisingly, three out of four job seekers don’t even bother sending a thank-you note after an interview. To set yourself apart, take the time to write thank-you emails to each employee—including the receptionist!—you met with during the hiring process, and send them within 24 hours after the interview. To show the interviewer(s) you were engaged, mention specific things you discussed during the interview. The best way to do this is to write down notes immediately after the interview so you don’t forget what you talked about. Of course, what you say during a job interview is equally as important as what you say at the end. Want help crafting compelling answers to common questions? Join Monster for free today. As a member, you’ll get interview insights, career advice, and job search tips sent directly to your inbox to help you become a top-shelf candidate. You’ll learn the ins and outs of salary negotiation, getting a promotion, and even how to land a higher-paying job. Let Monster show you how to leave a positive, lasting impression on every employer you meet.